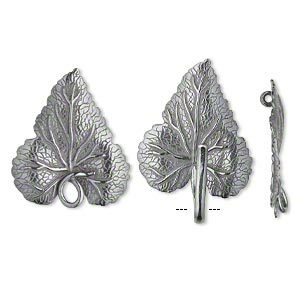 Clasp, JBB Findings, hook-and-eye, gunmetal-finished brass, 56x23mm single-sided leaves with hidden loops, Sold individually. 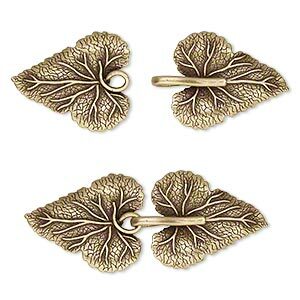 Gunmetal-finished brass hook-and-eye clasp with a well-detailed double leaf shape attractively connects the ends of bracelets and necklaces together and hidden loops on the back of the leaves. Clasp, JBB Findings, hook-and-eye, antiqued brass, 56x23mm single-sided leaves with hidden loops. Sold individually. 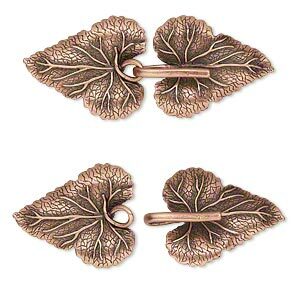 Clasp, JBB Findings, hook-and-eye, antique copper-plated brass, 56x23mm single-sided leaves with hidden loops. Sold individually. 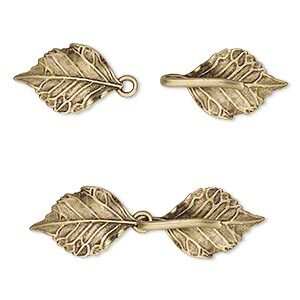 Clasp, JBB Findings, hook-and-eye, antiqued brass, 51x15mm double-sided leaves with hidden loops. Sold individually. 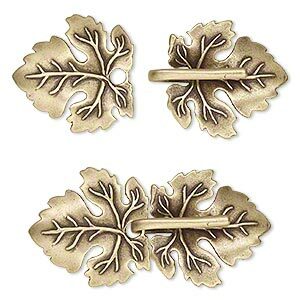 Clasp, JBB Findings, hook-and-eye, antiqued brass, 45x22mm single-sided leaves with hidden loops. Sold individually. 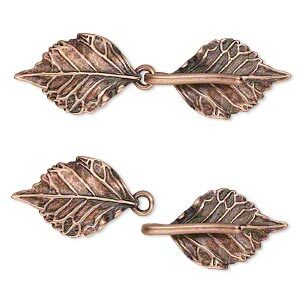 Clasp, JBB Findings, hook-and-eye, antique copper-plated brass, 51x15mm double-sided leaves with hidden loops. Sold individually. 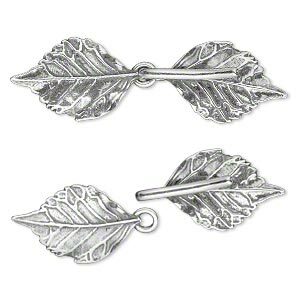 Clasp, JBB Findings, hook-and-eye, antique silver-plated brass, 51x15mm double-sided leaves with hidden loops. Sold individually. 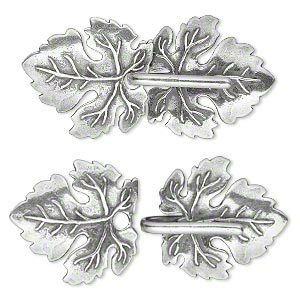 Clasp, JBB Findings, hook-and-eye, antique silver-plated brass, 45x22mm single-sided leaves with hidden loops. Sold individually. 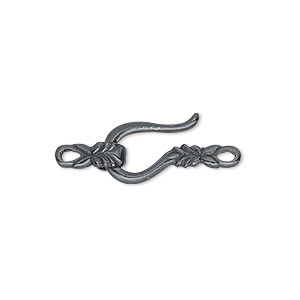 Clasp, JBB Findings, 3-strand hook-and-eye, gunmetal-plated brass, 28x15mm. Sold individually. 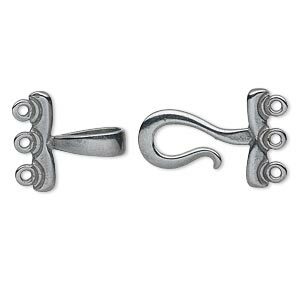 Clasp, JBB Findings, hook-and-eye, gunmetal-plated brass, 21x9mm double-sided leaf. Sold individually. 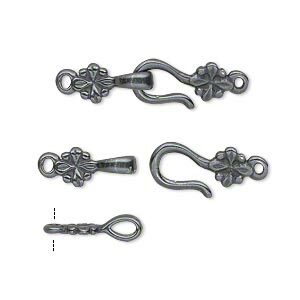 Clasp, JBB Findings, hook-and-eye, gunmetal-plated brass, 24.5x8mm double-sided flower. Sold individually.